The Swimline Dual Action Inflatable Pump will inflate your favorite pool toys quick and easily. 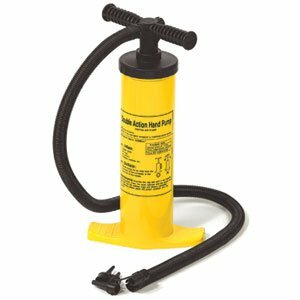 This dual action hand pump comes with multi-use adapters and provides continuous air flow. Made from sturdy construction, this pump inflates and deflates. You'll receive the pump, hose, and adapters.